Announcement NorthernLogic: Handmade Personalised Wooden Prints. My signature products are personalised maps which can be customised to show any location in the world. I print onto square wooden boards and round silver birch slices to create thoughtful gifts for anniversaries, weddings, engagements and house warmings. My bespoke Wooden Prints make beautiful keepsakes, especially for the 5th Wedding Anniversary which is traditionally celebrated by the exchange of wood themed gifts. My range includes decorative hand painted silver and gold hearts which are perfectly suited for Silver 25th, and Gold 50th Wedding Anniversaries. To complement my personalised map products, my Wooden Prints also feature unsual vintage images including trees, birds, fish, fossils and ferns. The rustic charm of these home decor items make them perfect for contemporary interiors when displayed in a group on a wall, or standing alone on a shelf as an accent to a room theme. NorthernLogic: Handmade Personalised Wooden Prints. My signature products are personalised maps which can be customised to show any location in the world. 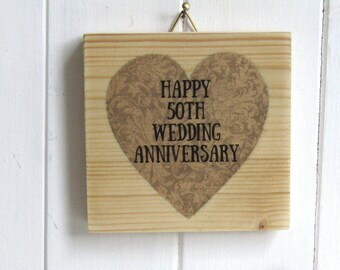 I print onto square wooden boards and round silver birch slices to create thoughtful gifts for anniversaries, weddings, engagements and house warmings. I purchased two of these beautiful boxes and they are just the right size to store a few keys. There is a selection of designs and they take pride of place on our radiator shelf. I also received excellent customer service from Jude as I also ordered a personalised map block for my daughter. She was extremely conscientious in working with me on the map design and I appreciated that. Loved the map. I gave it to my husband as our 5th Anniversary present and he loved it too. Great service, efficient and great communication. Thank you. This was a really perfect gift. Bought for my wife for our fifth anniversary and she absolutely loves it! Quality is excellent and it can be either hung up or stands freely. Posted first class and arrived the next day, communication was also excellent throughout the process, I was never in any doubt about what I would be receiving, in fact it exceeded my expectations. Would definitely recommend! Me, working in the Northern Logic Studio. A selection of recent items. Northern Logic: Handmade Personalised Wooden Prints. My signature products are personalised maps printed on wooden boards and silver birch slices. Using beautifully detailed map data I make genuinely unique, bespoke pieces that commemorate a special place and time for my customers. I began making my Wooden Prints in 2011, the first of which featured family trees. The inspiration behind these first experimental pieces was my parents who had spent hours and hours researching our family tree. However, my interest soon turned to maps and a fascination with the aesthetic of maps and the way that they can capture a place and a moment in time. The maps I make for my customers all use contemporary data so represent 'now'. However, in 25-50 years time these Wooden Prints be will be seen to represent a time that is past, thus becoming a 'vintage' map. A word about my name: I'm often asked why my shop is called Northern Logic - this came about as I was looking through a dictionary for inspiration. The terms 'true north' and 'magnetic north' are fairly well known and understood, but there is also a lesser known 'logical north' - which is where you think north should be. I liked this concept as I am Northern through and through, so I swapped the phrase round and decided it would make a suitable name for my shop. As well as selling on Etsy since 2012 I have sold my Wooden Prints at many local craft fairs, I also have another online UK marketplace shop which generates the majority of my sales. I am proud to be a member of Etsy Manchester and am looking forward to participating in their 'Etsy Made Local' event in December 2017. I have been a self employed artist since 2003, I live and work in Manchester, UK. My background is in painting but I have always used experimental techniques and creating Wooden Prints has become the perfect medium of expression for me. 'Frames' is a bespoke framing workshop who supply the bespoke frames for my products. The pictures are fitted by me. I buy my blank boxes from this supplier. Welcome to NorthernLogic. I am delighted that you are interested in purchasing from my shop and look forward to completing the transaction. I dispatch orders on Monday's and Friday's, so the lead time on your order will vary slightly according to when I recieve your order. For ready to ship items I will always ship on the next available dispatch day. For custom orders, and orders requiring proof approval, this will take between 3-5 days. If you do not receive your item because of a problem with Royal Mail please let me know - I will endeavour to trace the delivery or will send a replacement at no additional cost to yourself if it can not be found by Royal Mail. Custom Made items: For these items I generally cannot give refunds or exchanges as your money will have been used to purchase materials bought specifically for your order. However if there's a problem please contact me and we can discuss the issues. Ready To Ship Items: If you are unhappy with your purchase I will offer a full refund on items that are returned within 21 days of the date of dispatch. I will not refund return postage costs - only the retail price of the item. All items will be sent by Royal Mail. For delivery addresses in the UK items will be sent via First Class which is advertised as a 1-2 day service. For delivery addresses outside of the UK items will be sent via Royal Mail 'International Signed For', which is advertised as a 7-10 day service. Custom Orders: Please take care to accurately provide all the relevant information. I will copy your spellings and information exactly and mistakes cannot be corrected once an item is completed. Custom items are freshly made just for you. This authentic process means the one you receive will never look identical to the one shown in the picture. The overall look will be as pictured and described. The majority or orders I make are personalised. Please add the customisation details at check out in the box for 'add note to NorthernLogic'. I will send a jpg proof for your approval. Your order will be sent gift wrapped in white tissue paper and a layer of protective packaging.